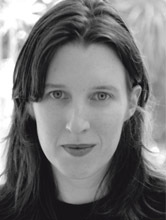 Chloe Hooper won a Walkley Award for her writing on the inquest into the death of Cameron Doomadgee, published in The Monthly and internationally. Her first novel, A Child’s Book of True Crime, was critically acclaimed around the world. Chloe’s most recent book, The Tall Man, won the 2009 New South Wales Premier’s Literary Award for Non-fiction and the 2009 ABIA General Non-fiction Book of the Year Award. Her most recent book is The Engagement, published in 2012. She lives in Melbourne.